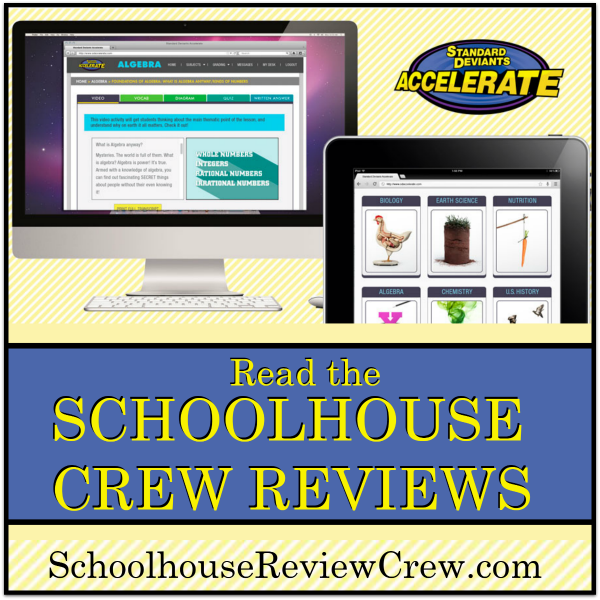 Over the past few weeks members of the Crew have been reviewing the complete Standard Deviants Accelerate Homeschool Courses. Each of these courses is designed to help your students learn common grade requirements. To do so they use humor, a variety of teachers, breaking down the facts into bite sized pieces, and leading from one piece of information to the next. 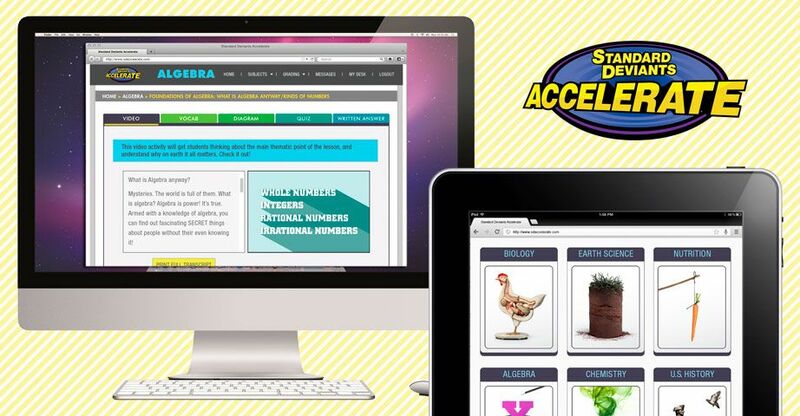 What you get with each subscription is access to a year’s worth of supplemental material. Students are able to both read a transcript of a lesson as well as listen to it taught be a variety of individuals. The material learned is then tested to help students retain the information taught. They are tested through drag and drop questions and well as a multiple choice quiz. Critical thinking is encouraged. 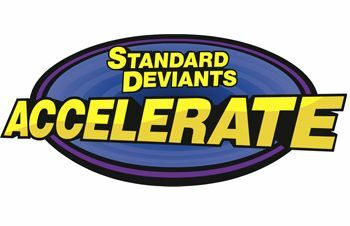 Standard Deviants Accelerate has classes for students in Grades 3-12. Aligned to various standards you will know that your students are gaining the basic knowledge that they need for each course they take. You as a parent/teacher can read reports, view progress as well as much more. You can watch this video below to see all that you can do. A big thank you to Annette of A Net in Time for writing this introductory post.